If you are in the United Kingdom, and looking to adopt a Siberian kitten, here is a list of Siberian cat breeders in the UK 🙂 I tried to read as much as I could about each of these breeders to see which ones I could recommend, and to say a few words about each of these breeders. I hope this post will be helpful to you in your quest of finding the best breeder. 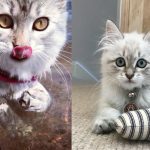 This Siberian cat breeder is located in London UK. They are originally a family from Barcelona, who, according to the story on their website, were always allergic to cats … until they got their first Siberian! As it often happens, the Siberian cat proved to be hypoallergenic in their case, and so they decided to start breeding Siberian cats. The rest is history, which you can read on their website. Check them out if you are in London, they have a beautiful website. This breeder, located in Liverpool, United Kingdom, have been breeding Siberian cats since 2008. Clare (the breeder) has also been a veterinary nurse for years, and currently she is a home-based Siberian cat breeder. She has a long story about how she started in breeding on her beautiful website. All her cats and kittens live with her in a warm family environment, and have great opportunities for socialisation. Clare offers lifelong advice and support to all the new owners of her kittens (which is great!). She strives to raise genetically healthy kittens with minimum inbreeding and best health care possible. Check out her website if you are in Liverpool and give her a try! This breeder, located in Chilterns Village near the Henley-On-Themes, UK, specialises in Neva Masquerade and Siberian cats. 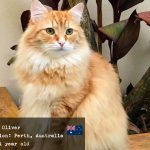 They have the most gorgeous cat site I have ever seen- very royal, as this is how they see their cats. Maria, the owner of the cattery, is actually of Russian origin (just like Siberian cats!) and has been living in the UK since 1997. Her cattery has been awarded an Outstanding Cattery award by International Cat Association. Do I need to say more? Maria has plenty of beautiful pictures of her kitties and lots of great testimonials from past customers. Go check out her website to get a feel of Royalty, art and gorgeous Siberians. 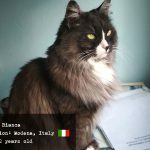 I just can’t stop marvelling at how beautiful some of these cat websites are and this is one of them. These breeders, Jo and Andy, are located in Cheshire, UK. They are the First and only UK Breeder to have 4 kittens win final BEST KITTEN at a TICA Show. That’s some great breeding right there- and a sign that you can definitely trust this breeder. According to their website, Jo and Andy have been breeding beautiful healthy (and apparently award-winning!) Siberian kittens since 2006! 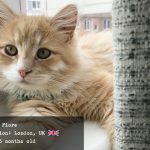 They have a huge gallery of cats and kittens on their site and update their blog regularly with news and articles as well as upcoming litters. Visit their website and give them a call if you are in Cheshire. 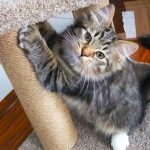 This UK Siberian cat breeder is located in Wisbech, Cambridgeshire. James and Sue, are hobby breeders who enjoy showing their cats. They first fell in love with Siberian cats in 2005. They currently breed a line of award winning Siberians and work hard on further improving their lines. Their cats have managed to win lots of great awards and titles such as 2015-2016 Regional Winner Supreme Grand champion, Best Silver Shaded Siberian Cat in the World, 3rd best Siberian in the World over all, 12th best long haired cat in Western Europe and 14th best all breed cat in Western Europe. Those are some impressive titles! Visit James and Sue if you are anywhere near Wisbech, Cambridgeshire and are looking for a well-bred Siberian cat. 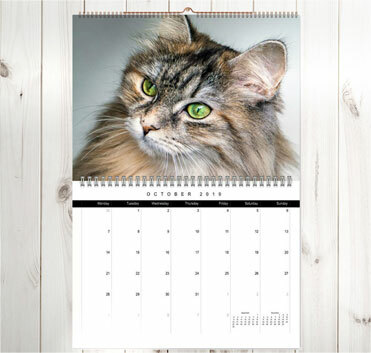 Damman Amur are a family of five cat lovers who breed traditional Siberian cats. Their cats live with their family and are being offered best care and socialisation opportunities. 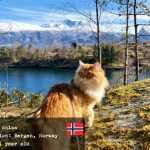 These breeders are driven by their love and admiration for the Siberian cat breed – their royal beauty and superior intelligence, as well as their affectionate, loving personalities. They also point out that Siberians are generally very healthy, normally without any genetic diseases, and are also hypoallergenic (for many people). 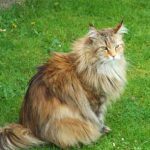 On their website, Dammam Amur breeders provide a nice overview of what a healthy, well-bred Siberian cat should look like (breed standards), and also some history and Siberian cat personality traits. They have several cats that have won great titles at shows, so you can be sure their lines are very good. They also have a written guarantee of their cats quality and health on their site. All in all, they seem like a very respectable, reputable breeder and I recommend you to contact them. Miakira Pedigree Siberian Cats & Kittens are located in Hertfordshire, England. The cattery is run by Tracey. Tracey is a Hobby show cat breeder who occasionally has pedigree Siberian kittens for sale to the right loving forever homes. She is a very devoted Siberian cat lover – I got so engrossed in her story of how she started breeding Siberians (being the 4th breeder in UK who imported Siberian cats from Russia). Alexandrite Siberians are the FIRST UK Breeders to specialise in Silver tabbies, and the rare Silver Shaded and Black Smokes. I couldn’t find on their website any info on where exactly in the UK they are located. They offer kittens with highest pedigree, bred from some of the best Siberians in the world, which can be confirmed by the Titles their Siberians have. This is a breeder that really cares about the well-being of their cats as much as that of their potential future owners. You can see it from what they communicate on their site. They require a lot of information from the potential owners, such as the composition of their families, allergy statues, children in the house etc. It’s always a good sign when a breeder asks a client a lot of questions. 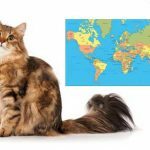 They also warn potential customers about the common belief that Siberian cats are hypoallergenic and that it is not always so. 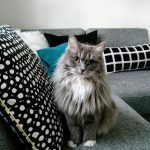 They offer allergy visits to their potential customers, and try to educate former Siberian cat owners about various aspects of having a Siberian. Check out their website – they do seem like a great breeder. Wawura Siberians are situated in Weybridge, Surrey, UK, only 30 minutes from central London. They are a boutique cattery breeding high-quality Siberian cats. They strive to breed for health and temperament, producing wonderful Siberian kitties that have won various awards and titles. All their cats live indoors, with the family, and are well-taken care of. They eat a healthy raw meat diet full of meat, bones and organ meats. (Very healthy.) 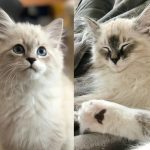 Wawura Siberians provide have a reservation list for their kittens so contact them early if you decide to get a kitten and you are in Weybridge or nearby. They also provide a contract if you buy their kitten. They do not allow visits in their home, but if you’d like to see them and their kittens, you are welcome to see them at a cat show. 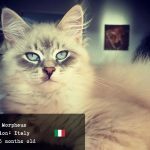 Their website is excellent and they definitely make an impression of a great, reputable breeder that cares a lot about their cats and their potential owners. Definitely have a look at their website and consider this breeder! 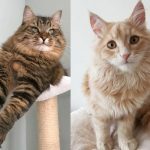 Check our Siberian cat rescue page to see if there are any Siberian cats available for adoption.